Need to get your hands on some packing and archive boxes in the West Brisbane area? Call Hire A Box today! 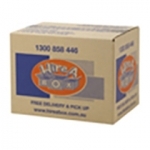 We supply West Brisbane with packing boxes and supplies. Pick a date and time for delivery online or give us a call at 1300 858 446 to place an order over the phone! Don’t put off packing any longer and order with Hire a Box today! Take some stress out of your move, our friendly drivers deliver to your door! Hiring moving boxes in Brisbane saves you up to 30% on your moving costs. You can choose to hire or buy your packing boxes. 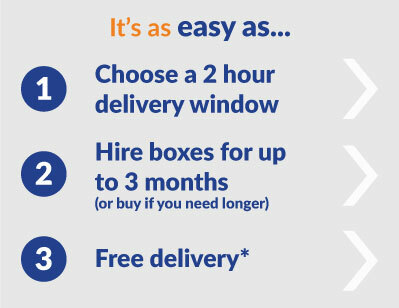 Call up in the morning to see if we can deliver your storage boxes the same day, or book online for next day delivery. CHEAP BOXES – our packing boxes are significantly cheaper than buying from removalists or packing supplies companies. HIRE or BUY – why buy boxes when you can not only save a lot of money by hiring, but also not be stuck with the boxes once you are finished with them and also help save the environment. If you need them for longer than the 3 month hire period, not a problem, you can buy the boxes from us too. FREE DELIVERY, TOP-UP and PICK-UP – order hire boxes to the value of $65 and receive free delivery all around the Brisbane metro area. If you run out of boxes, give us a call and we will do a second delivery for free. Once finished with the boxes, give us a call and we’ll come get them from the new destination. We service all West Brisbane metro areas including Acacia Ridge, Annerley, Ashgrove, Auchenflower, Bardon, Darra, Fairfield, Forest Lake, Indooroopilly, Jindalee, Kenmore, Milton, Moorooka, Mount Ommaney, Oxley, Sherwood, Sinnamon Park, Springfield, St Lucia, Taringa, The Gap, Wacol and many more! Order online and choose a 2 hour timeslot for next day delivery, anytime from 8am to 6pm. 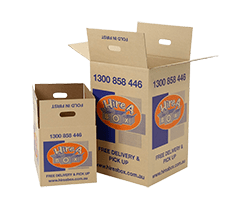 Alternatively, give us a call on 1300 858 446 to discuss an alternative time or ask any queries you may have regarding our packing boxes in West Brisbane.